America’s Jewish community is increasingly militant about the injustices that flow from Israel’s government-sponsored religious monopoly. The new, blunt tone shows US Jews see these issues as a priority – as they should. The debate about religion and the state is taking center stage, both in Israel and, increasingly, in America’s Jewish community. More than 80% of Israelis believe that full-time students of Torah should do army service or some form of national service; the leading rabbis of the ultra-Orthodox world think otherwise. Now that the recommendations of the Plesner Committee have been issued, rejected by Prime Minister Benjamin Netanyhau, and attacked from both the right and the left, an already ugly debate about religion in the Jewish State is getting even uglier. But little noticed is the fact that a different form of this debate is heating up among American Jews. Over the last year, America’s Jewish community has become more engaged with religious matters in Israel and more militant about the injustices that flow from Israel’s government-sponsored religious monopoly. Evidence of this more assertive attitude can be found in last month’s statement by the American Jewish Committee. The committee is a strong pro-Israel advocate. In the past, it has occasionally spoken on religious matters in Israel, but always with restraint. This time, however, caution was abandoned. The Committee statement referred to the Chief Rabbinate as an “anachronism…dividing the Jewish people,” urged that its monopoly over personal status issues be ended, suggested that it be given a ceremonial role akin to the Archbishop of Canterbury, and called for full recognition of all Jewish denominations. The blunt new tone was widely noticed and was also reflective of a new stirring among progressive American Jews about religious issues, which are taking up more space in Jewish publications, generating more passion, and prompting more grassroots activism. A number of factors account for this change. First, while the Reform and Masorti movements in Israel remain small, each now has a critical mass, which includes large synagogue centers in Israel’s major cities. And they also have Israeli-born leaders who are far more sophisticated than in the past in building support among American Jews; using social networks and the latest technology, they have developed a base of dedicated American Jews who see religious freedom as a key elements in their commitment to Israel. And this too: These new leaders are tough. Rabbi Gilad Kariv, director of Israel’s Reform Movement, was ejected from a meeting of the Knesset Finance Committee several weeks ago. When I was invited to Knesset committee meetings, I, like all other American Jewish leaders, presented my opinions with subdued deference. Rabbi Kariv has far less patience, and when Moshe Gafni of the United Torah Judaism Party called non-Orthodox rabbis “clowns,” Kariv protested, emphatically. This “I am not going to take it anymore” attitude is infectious and has set the tone for much of American Jewry. Second, the religious agenda has expanded. For decades, the primary focus of the non-Orthodox movements was on recognition for their rabbis, funding for their synagogues, etc. These concerns are important but, now, in response to events in Israel, the debate has shifted and other issues, such as women’s right and equality, have become central. Stories about women forced to the back of buses in Israel, of ultra-Orthodox men spitting on young girls because of immodest dress, and of prohibitions on women soldiers singing in public have impacted American Jews profoundly. When Hilary Clinton referred to such matters in off-the-record comments last December, Israeli leaders were in many cases outraged, but Jews listened and remembered; Ms. Clinton, after all, is America’s most prominent female political leader and is wildly popular among American Jews. Third, rising intermarriage rates have contributed to greater interest in religious issues in Israel. Virtually every American Jewish leader has a non-Jew in his family, and most have a family member who has converted to Judaism. Hardly a year passes in Israel without a “conversion crisis,” but what is fascinating is that after half a century, the issue of conversion still resonates in a very personal way with American Jews. 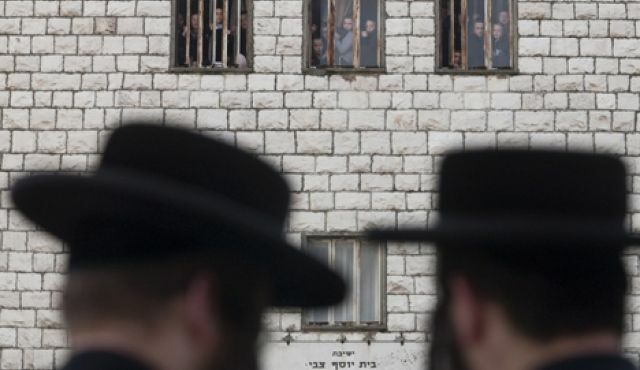 When the Chief Rabbinate declared two years ago that conversions in Israel could be annulled retroactively, leading to intervention by Israel’s Supreme Court, American Jews responded with utter disbelief. And this leads to the fourth factor: Israel’s Orthodox world, torn by divisions, buffeted by change, and burdened with an inflexible leadership, has become even more extreme in its pronouncements. Relatively moderate voices could once be counted on to calm the waters of the Orthodox world, but such voices have little influence today. Many Israelis consider Rabbi Shlomo Amar, the Sephardic Chief Rabbi, as just such a moderate force, and yet when the State agreed to fund Reform and Conservative rabbis, it was Amar who called non-Orthodox Judaism “the greatest danger for our generation.” The predictable result: American Jews, their passions inflamed, rallied once more to the cause of religious freedom in Israel. Where will this religious turmoil lead? In Israel, the ferment will continue. In the best case scenario, the Prime Minister will offer a solution to the conscription problem that will end the isolation of the ultra-Orthodox world and be the start of far-reaching religious change; in the worst case scenario, nothing will happen and the coalition will totter and perhaps collapse. In America, whatever happens, the consciousness of American Jews has been raised about religious matters and will stay raised. Most likely, new coalitions supporting religious freedom will begin to emerge. All of this is good news. Judaism is a religious tradition, and Israel is a Jewish state. The condition of religion in Israel belongs at the top of our priority list. And right now, that is where it is.